New York City Council Member is pleased to present a family skate day. 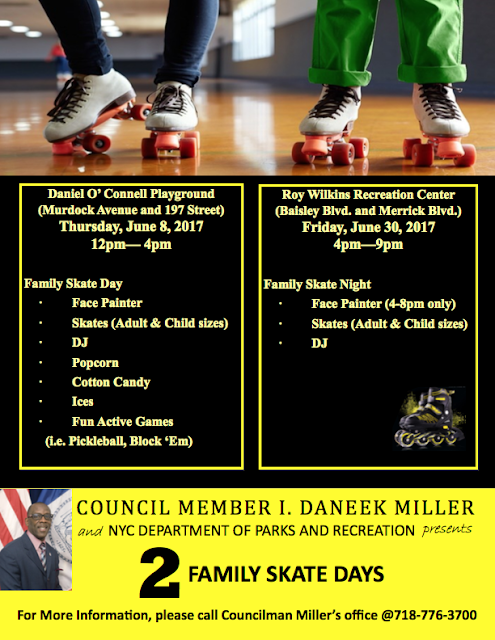 Come on out for face skating, painting, DJ music, popcorn, cotton candy, ices and fun active games. In honor of Father’s Day, Resorts World Casino is pleased to present a photography exhibition: An Ode to Dad. On view from June 2nd through June 29th. Like many of our neighbors of Caribbean heritage Audley Geo Smith, is a resourceful and resilient person with global sophistication. 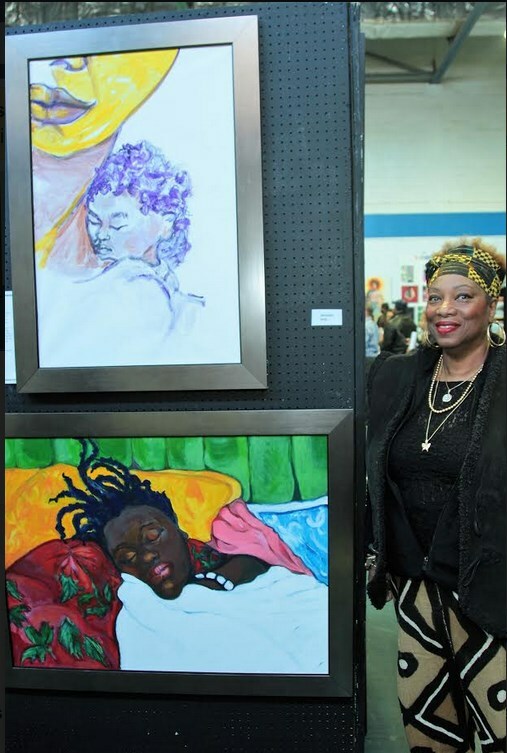 Smith has come a long way from his roots in the Caribbean and later stints in England to set up an eclectic art gallery/studio business on Linden Blvd, in St. Albans. St. Albans, Queens, New York, has always been a community of strivers, celebrities, sports stars, activists, and successful business moguls for decades. James Brown, Joe Louis, Count Basie, WEB DuBois, John Coltrane, Daymond Johns, Ella Fitzgerald, Richard Parsons, are just a small slice of the exceptional luminaries from the area. Audley, is another highly gifted resident of Southeast Queens. He is an unique renaissance man in the true sense of the word - and a great resource for the community. 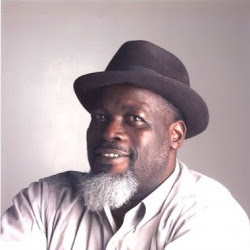 Mr. Smith is an expert photographer, fine artist, painting instructor, framer, and community leader/activist for those in the arts in the area. 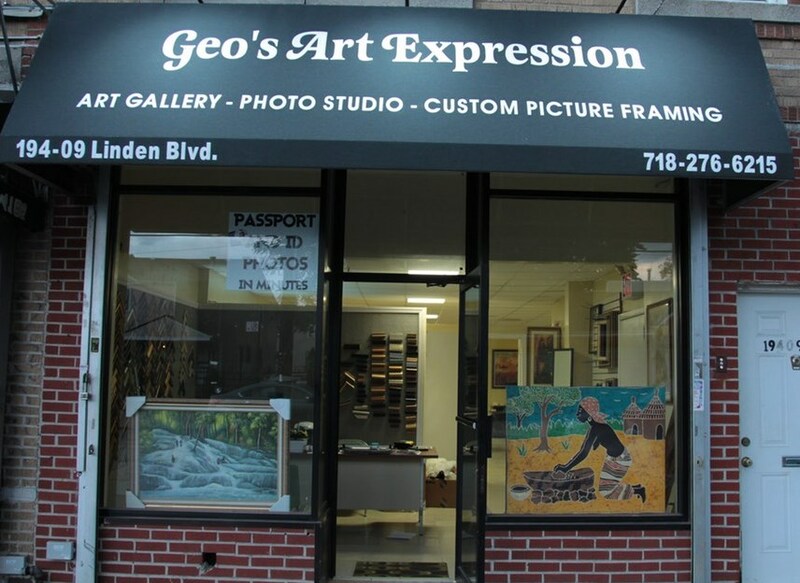 He showcases many of his skill sets and aplomb in his recent gallery opening of Geo's Art Expression, at 194-09 Linden Blvd, St. Albans, 11412. Mr. Smith was born in Manchester, Jamaica, but also has lived in England, and France, which accentuated his art knowledge and skills. 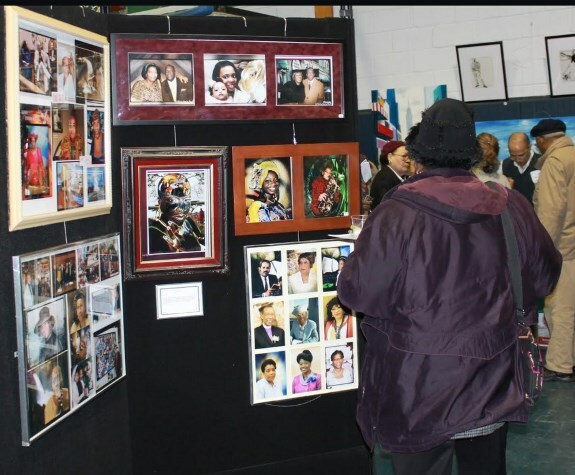 He once owned an art gallery in Jamaica and was looking to start a gallery again in his life. As you can imagine it was a quite a difference in living abroad and the United States. 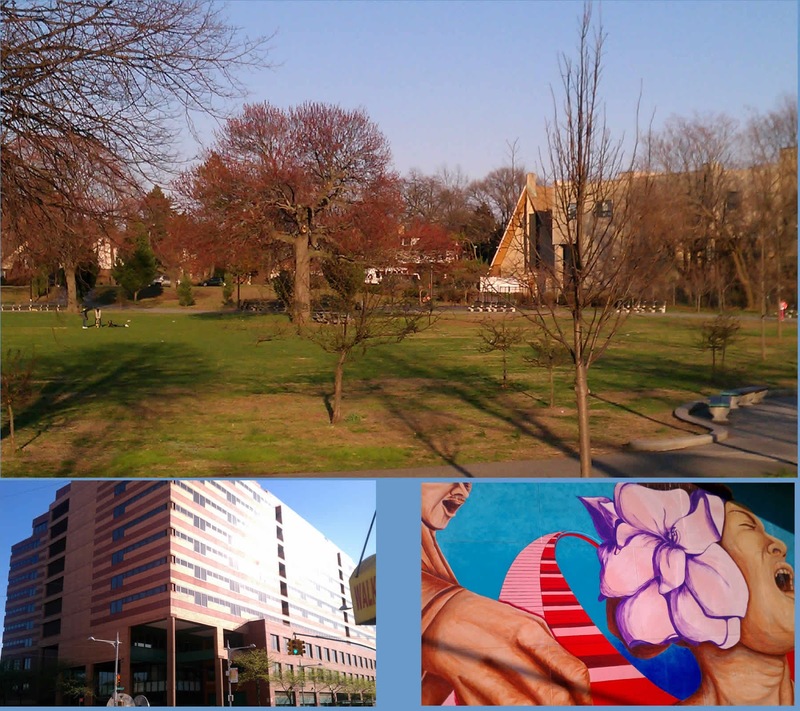 However, once settled in Audley, has long been involved with advocating for the arts in Southeast Queens, New York City. He has been President of The Alliance of Queens Artists. 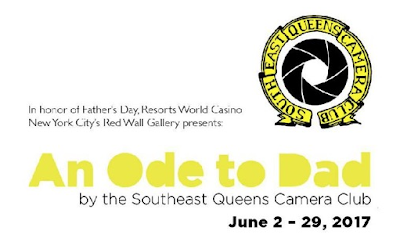 He is an expert photographer who has also been involved in the Southeast Queens Camera Club. Moreover, Mr. Smith, is an extraordinary award winning painter, who has merged his photography skills together with his art in a beautiful synergy. 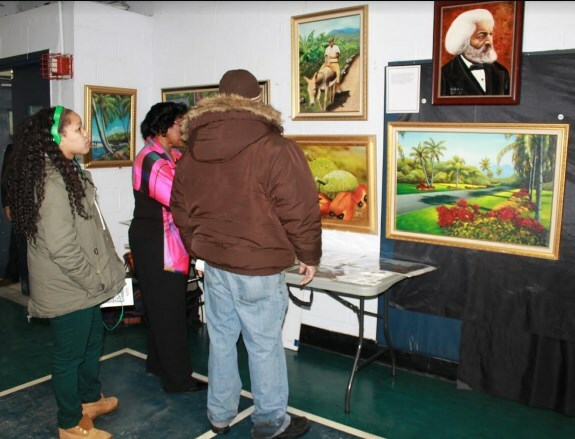 The result is him creating some truly awe inspiring art that he offers for sale at his gallery in Southeast, Queens along with the creative works of other artists. Furthermore, he offers exquisite framing and even hosts effective fun and instructional "Sip and Paint" painting lessons some Sundays during the month. He does wedding and special occasion photography, custom framing, photo shoots, and parties. 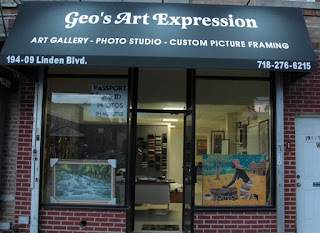 You can see more of his art and services by visiting his website at www.GeosArtExpression.com or give him a call at 718-276-6215. 10-Year old Black CEO, Gabrielle Goodwin, Founder of Gabby Bows, gets distribution for her popular invention in Once Upon a Child Stores across the country. 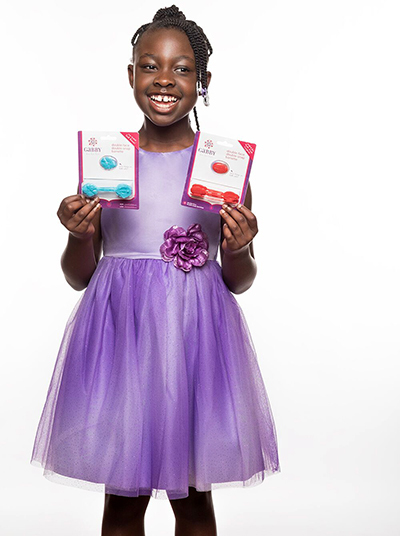 In 2015, Gabrielle was named the youngest ever South Carolina Young Entrepreneur of the Year. The following year, she and her mom were named a 2016 SCORE and Sam’s Club American Small Business Champion, and awarded as the 2016 SCORE Foundation Outstanding Diverse Business of the Year. A children’s book about Gabrielle and Gabby Bows, “Gabby Invents the Perfect Hair Bow” will be published by Entrepreneur Kid this summer. “It feels really good to walk in a store and see your own product on the shelves! I am grateful to have a lot of supporters and be expanding.” says Gabrielle Goodwin. 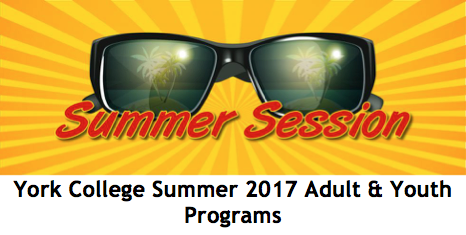 Enjoy summer 2017 with York College, CUNY Continuing and Professional Education Center’s (CPEC) summer programs! CPEC provides our constituents with high quality non-credit courses, some leading to professional certifications, experiential learning opportunities, and scholastic and vocational support that help students to realize their educational and career potential. Regarding our instructional offerings, the CPEC offers in-demand professional certification courses, preparatory academic courses for adults and youth, along with exciting enrichment courses for the whole family to enjoy, and career advising to help clients reach their goals! CPEC is excited to announce that we’re offering over 60 in-person and online courses collectively for the summer semester alone! Interested? Meet us at one of our Open Houses! Summer courses are now open for registration. 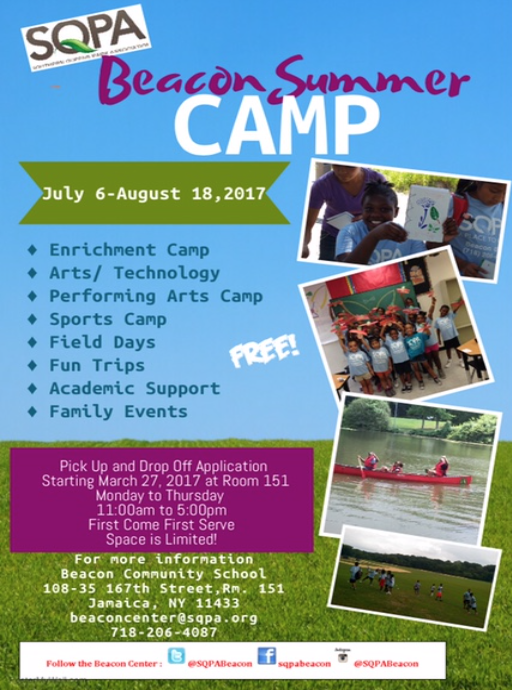 Don’t miss out, click below to register online! Questions? Contact us at conted@york.cuny.edu. June 19 @ 6:30 pm - 8:30 pm. 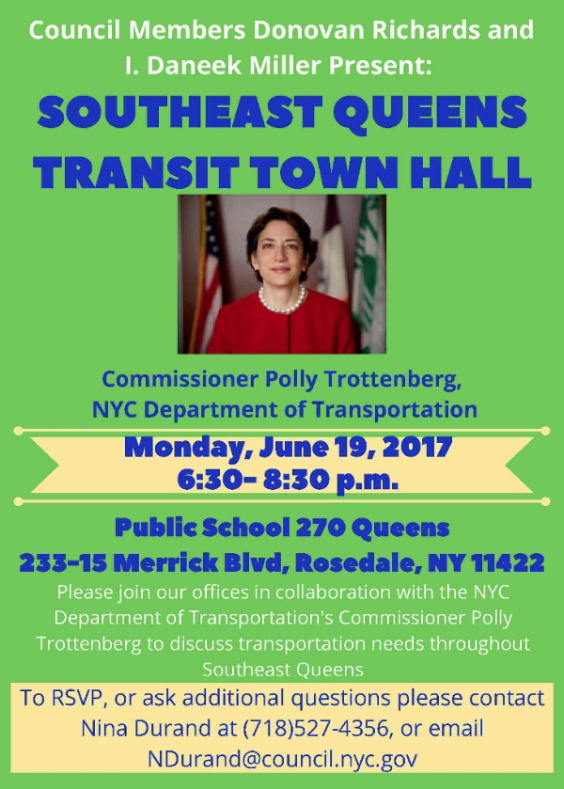 New York City Council Members Donovan Richards and I. Daneek Miller are pleased to present a Southeast Queens transit town hall. Join them and New York City Department of Transportation Commissioner Polly Trottenberg to discuss transportation needs throughout Southeast Queens. 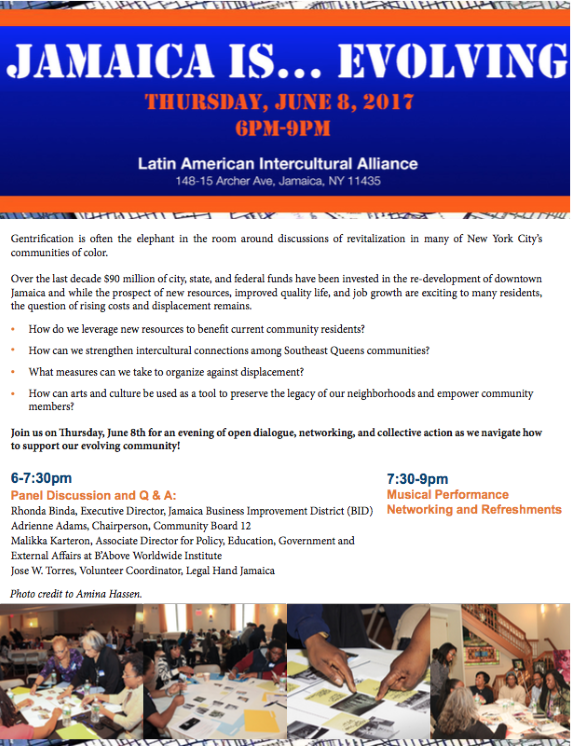 To RSVP, or ask additional questions, please contact Nina Durand at (718) 527-4356, or e-mail NDurand@council.nyc.gov. Labels: Southeast Queens transit town hall. 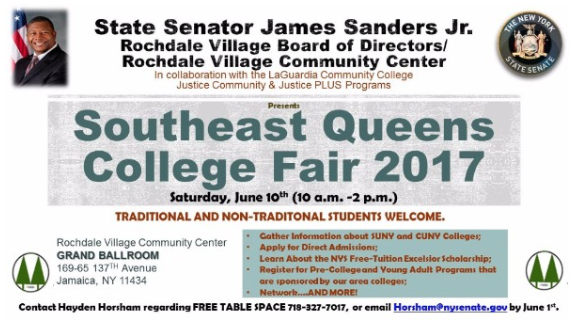 New York State Senator James Sanders Jr., and the Rochdale Board of Directors and Rochdale Village Community Center are pleased to present a southeast Queens College Fair 2017. Gather information about SUNY and CUNY colleges; apply for direct admission; learn about the NYS free tuition Excelsior Scholarships; register for pre-college and young adult programs that are sponsored by our area colleges; network; and more. 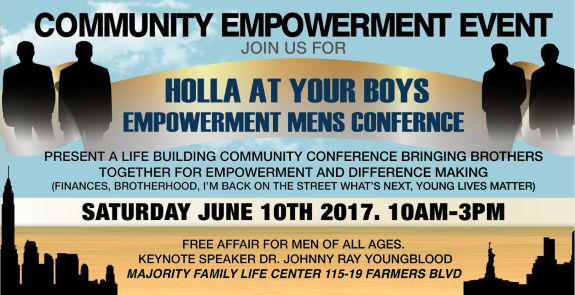 One and all are invited to “Holla At Your Boys”, a community empowerment event. Don’t miss this life building community conference bringing brothers together for empowerment and difference making. Topics to be discussed include: Finances, Brotherhood, “I’m Back on the Street What’s Next”, and Young Lives Matter. The keynote speaker will be Dr. Johnny Ray Youngblood. Please join Jamaica Is…Evolving, for a panel discussion/Q&A on redevelopment and gentrification and how to build intercultural connections to strengthen community. This will be followed by a musical performance and an opportunity to connect and network with others. 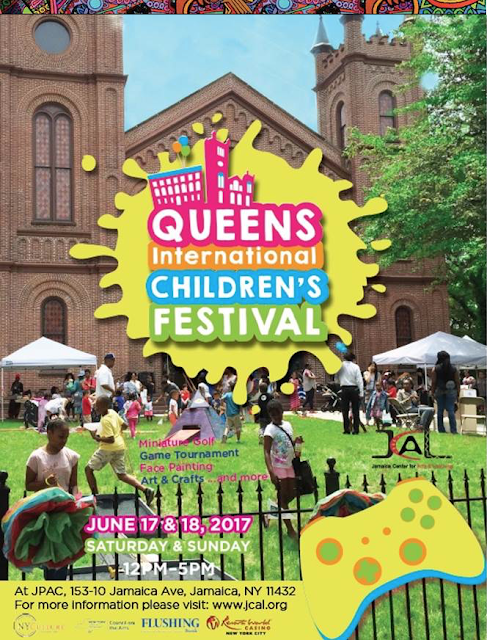 Downtown Jamaica, Queens, is currently undergoing rapid redevelopment. Several new hotels and apartment buildings are being constructed, and the expectation is that an influx of affluent buyers and renters will soon flood the Southeast Queens neighborhoods, pricing out the working-class families and mom-and-pop businesses in our community. “Gentrification” is the term for this type of trend, and it usually carries a negative and often cultural connotation. I am not determined to prevent people of different cultures and ethnicities from moving into the area. Not at all. The truth is that I embrace diversity … when it is diversity and not displacement. However, I am determined to see our younger generations become business owners and property owners here in Southeast Queens, where our parents and grandparents have worked hard for decades. Since I began my law office in 2004, I have handled numerous real estate, business lease, and probate transactions in Southeast Queens, and I can state with confidence that empowering the younger generation is a far more real challenge than what many perceive as gentrification. > What does it take for a young woman age 26 to want to purchase her own home in Hollis? > Does she need to be married first? > Does she need help from family to make a down payment? > What does it take for a young man age 30 to take over his parents’ small business on Merrick Blvd? > Do they have to guarantee him a salary based on his degree? > Does he have to pay off his student loans first? 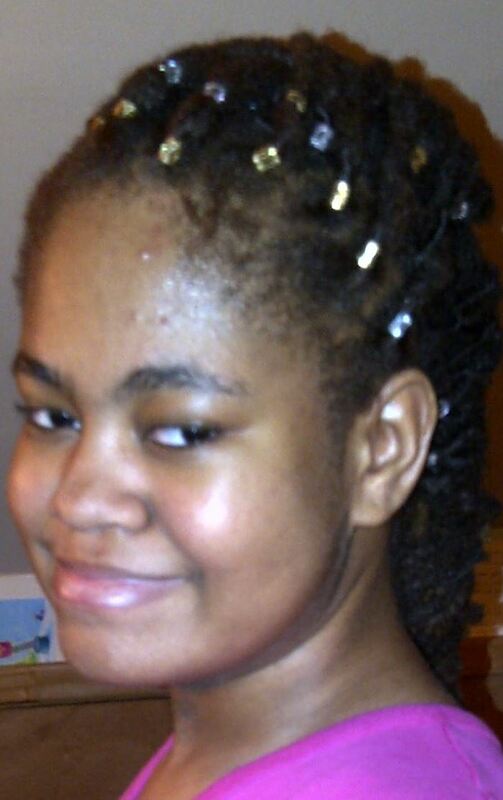 > What does it take for heirs to hold onto Grandma’s property in Laurelton now that she has passed on? > Does one of the heirs have to live in the property? > What if the other heirs want their share of the cash value instead of keeping the house? These are the types of questions that actually come up within the households of Southeast Queens, and the answers are unique to every family, every individual, every situation. But I have observed one theme emerging from these households: members of the Millennial generation in our community are postponing their plans for ownership until later in life. There are various theories as to why Millennials seem to be “starting out later.” For example, the job market may be more limited now than in years past; education and student loans may be more expensive; marriage may be intimidating and, thus, the 2-income household may be harder to establish; travel and recreation may be more of a priority than “settling down” and investing; and so on. Despite the speculation, one thing is certain: Southeast Queens needs its Millennials to emerge as the next generation of owners, innovators and leaders. Each family in our community can and should consider practical ways to empower the next generation, giving them a chance to “test drive” ownership through tried-and-true approaches as well as new methods and technologies. 2. Lease Agreement with Family. Young adults living at home with parents should still have the opportunity to pay rent and agree to the terms of a written lease. Being under a formal lease agreement enhances your ability to transition to ownership, and the lease itself may be a useful document when you apply for a mortgage or if your parents apply for a refinance or loan modification. 3. Rent-to-Own Agreement with Family. In this arrangement a portion of your monthly rent payment gets treated as a partial down payment for purchase of the home you are currently renting. Over time the down payment grows to be sizable and helps you qualify for a mortgage loan. For parents or grandparents who intend to relocate, this approach can be a useful way to gradually sell their property to a younger member of the family. 4. Life Estate Deed. Where the elder family member intends to remain in the same home, it may be practical to have a responsible younger family member placed on the deed, with the elder retaining a “life estate” interest. Not only can this bolster the ownership identity of the younger generation if they are already responsible, but it may also be an effective legacy planning or Medicaid planning tool for the elder. 5. Form a Non-Profit Corporation. Finally, many Millennials are driven by a desire to use their skills and abilities in a meaningful way, to make a difference in the community or create content that stimulates progress. That type of drive can be empowering to a young adult if it is structured and purposeful. Forming a small non-profit corporation is a low-cost way to establish a structure that can give Millennial family members a vehicle to launch into innovation and leadership. These items are just for consideration. 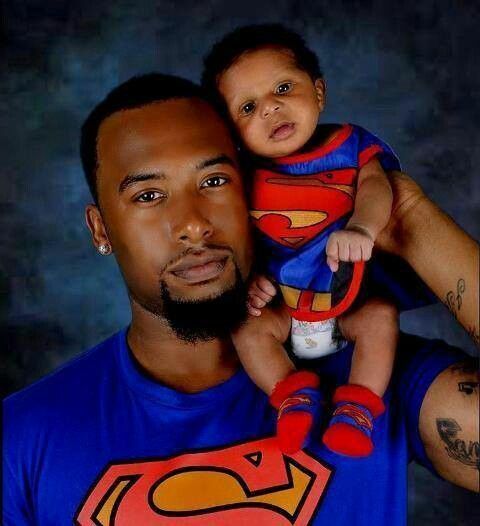 Legal counsel should be obtained for your family’s specific objectives before any formal documents are implemented. I recognize that families often have a hard time discussing topics like property ownership, so I created a “personality quiz” to break the ice and help people start talking about ownership more comfortably. You can take the quiz online at www.Ownerscope.com, share it on social media, and talk about it with family and friends. Enjoy. 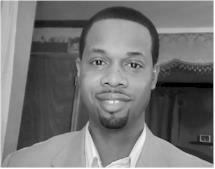 Isa Abdur-Rahman is an attorney based in Jamaica, Queens. He is also the founder and executive director of Farmers Boulevard Community Development Corp., a non-profit group created in 2009 with the mission of revitalizing Farmers Boulevard. Isa taught Business Law at York College from 2011-2016. He lives in Jamaica with his wife, Fazeeda, and their three young children.